Seattle’s Providence Mount St. Vincent is a nursing home that also houses the Intergenerational Learning Center, a preschool program. Over the course of a school year, elderly Mount residents regularly interact with young children over various activities. As relationships develop between those at the end of their lives and others at the beginning of theirs, both are enriched. Evan Briggs offers an intimate, bittersweet observation of both growing up and growing old. Offers an intimate glimpse into a world where the very young and very old learn and grow side by side, for a fleeting moment in time. 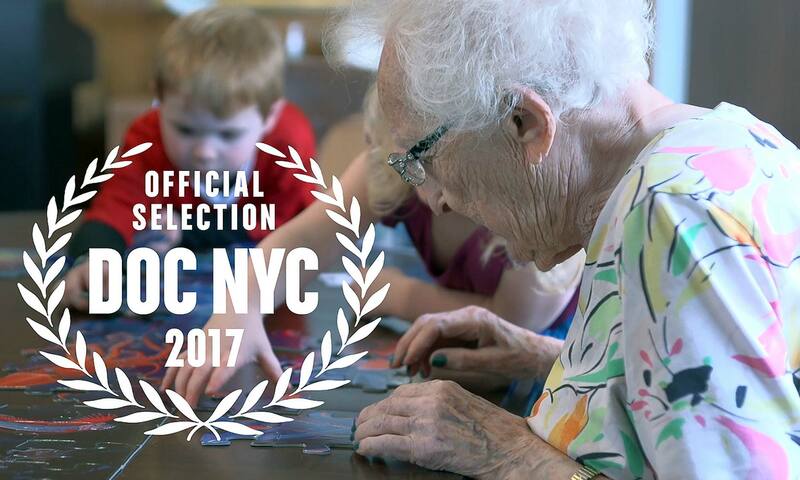 Please join us for our premiere in NYC! Click here to purchase tickets.